Our Wodify Guest Blog Series is part of a growing initiative to open our doors to the fitness community around the world that uses Wodify, so they may share their experience, news, and advice. Guest author Brian Alexander is the chief inspiration officer at CrossFit Illumine located outside Chicago, IL. 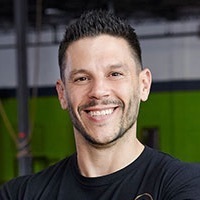 He is also a coach and business mentor at Two Brain Business, a company dedicated to helping gym owners stay successful. 21-day and six-week health and fitness challenges are very popular because they promise transformative results in a relatively short amount of time. But they’re not the only solution out there. When fitness challenges entered the CrossFit scene a few years ago, I was just as excited as any affiliate owner. The promise of gaining 50 new members each month seemed like magic, but in the end, our revolving door of clients proved to be a curse. 1. Building healthy habits takes longer than six weeks. Research suggests that it takes over 60 days to build a new habit, especially when it comes to losing weight, improving your diet, or starting a new workout routine. Not to mention, most people physically can't lose 20 pounds of fat in six weeks. What they will lose is water weight and muscle. When you lose muscle, your body burns fewer calories. When you burn fewer calories, you gain the weight back — plus more. It’s the proverbial roller coaster of death. 2. Most health challenges are too generic. People come to us to solve a problem — whether it’s losing weight, gaining muscle or becoming a better athlete. Each one has different needs, and there’s no silver bullet that will work for everyone. That’s why most challenges are too generic to for people looking to get fit in a meaningful way. You need to build a program tailored to each person’s unique needs and goals to help them reach their full potential. When I look back at our challenges, I realize I should’ve designed a solution for each member’s unique problems. And there’s no one-size-fits-all approach to that. So we ditched six-week challenges and changed our strategy to the Illumine First 100-Day Journey. This is the strategic way we onboard all new clients in an ultra-prescriptive way. Unlike traditional health challenges, everyone who joins our gym receives a unique prescription of one-on-one personal training, group classes, and nutrition coaching over the course of their first 100 days — followed by a goal session to plan their next 100-day journey. To really help someone, you have to sit down, ask questions, and listen. Find out where they have failed in the past. Learn how much accountability they feel they need to thrive and succeed through their First 100 Days. If you take the time to listen, they’ll tell you exactly what they need.